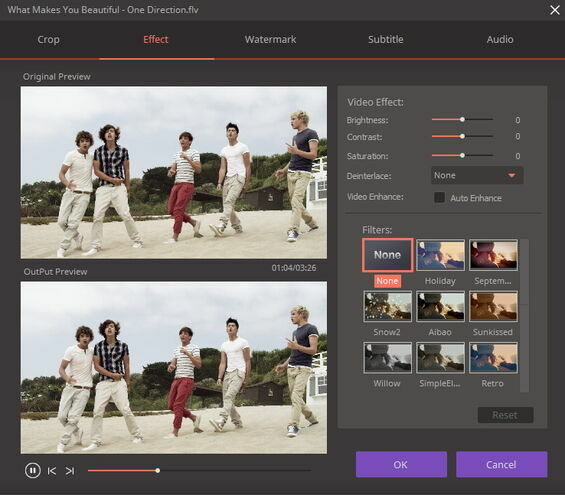 Wondershare UniConverter (originally Wondershare Video Converter Ultimate) offers brightness, saturation, contrast adjustment as well as 19 filters for you to apply stunning video effect. To get started, please launch Wondershare UniConverter after installation. Add video files to the program under Convert or Burn section, there'll be 3 editing icons below the video thumbnail. Click the Effect button on the right to get the effect window. You can easily adjust the brightness, contrast, saturation settings and select deinterlace as you need. You can also check the box before Auto Enhance to enhance video effect automatically. Furthermore, there're 19 widely-used filters for your selection, choose a favourite one and click OK to confirm. 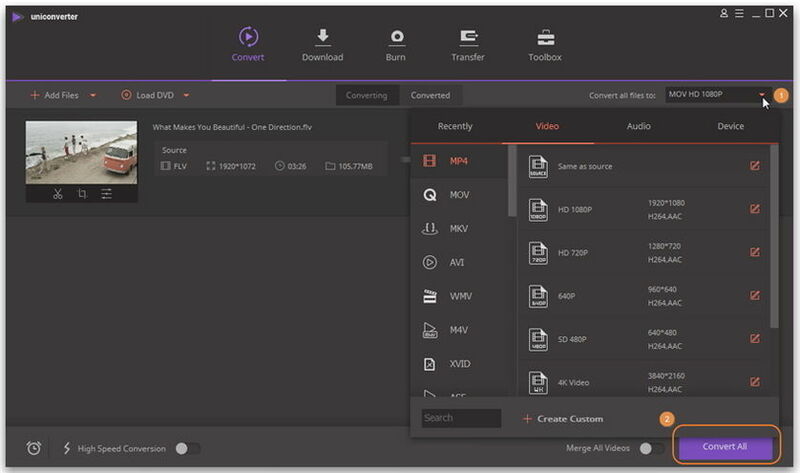 Now click the drop-down button beside Convert all files to: on the main interface to choose an output format for the video, click Convert All to start converting. After conversion, you can get the target video file by switching to Converted tab.